Our recent trip to New York City included a lot of walking around in the wind and the cold. On one such day, we landed in the Williamsburg neighborhood in Brooklyn and stumbled out of the elements into Rabbits, a cute vintage shop on Havemeyer Street. The shop caught our attention from across the street, partly because of the beautiful dresses hanging in the window, and partly because we knew that if the Lord loved us there would be blessed heat. Lucky for us we got to experience both. 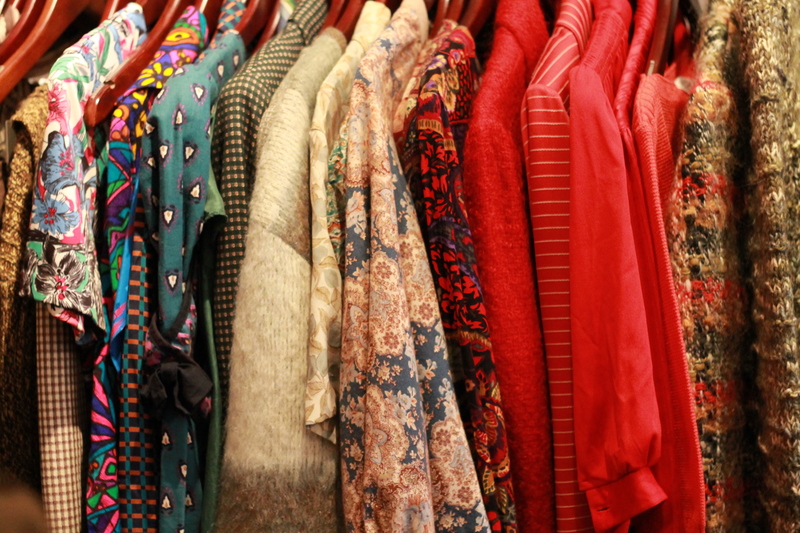 Upon entering the shop, we were immediately impressed by how organized it is: racks of blouses and pants line one wall and racks with dresses and jackets line the other. 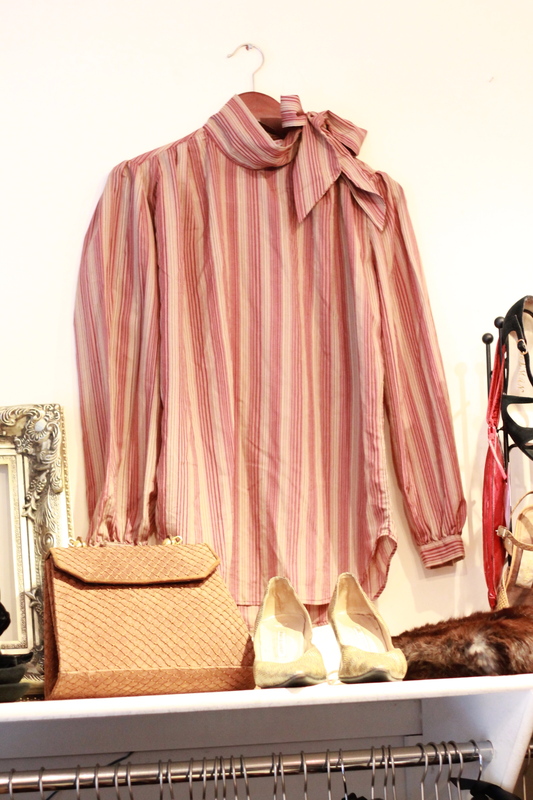 Shoes, belts, scarves and hats are neatly displayed on tables and benches throughout the store. The owner, Saori, greeted us kindly and chatted with us as we fingered through lovely pieces she hand selected from places like Japan. She told us about her travels to find unique items for the store, but what we loved most about her is she was never pushy about buying things. 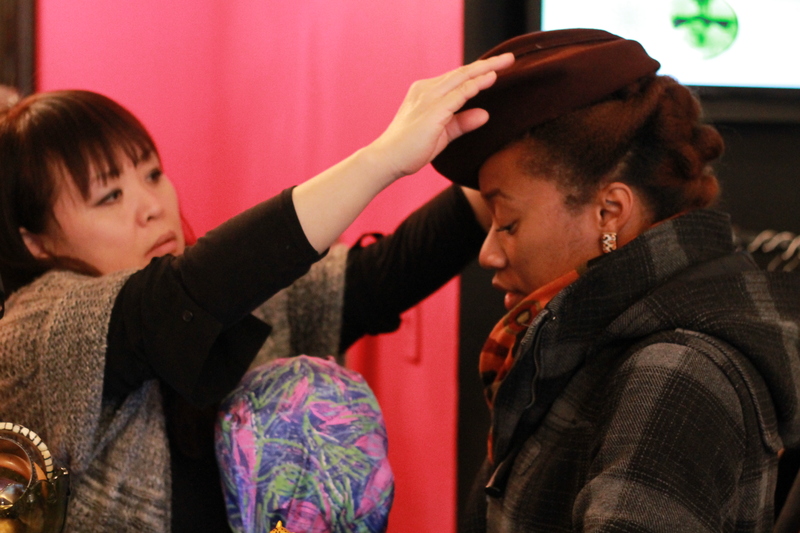 Ricks found a pair of pants that she loved, and Saori encouraged her to try them on but never turned on the “sales speak.” I wanted to try on a hat, and Saori helped me figure out the best ways to position it. 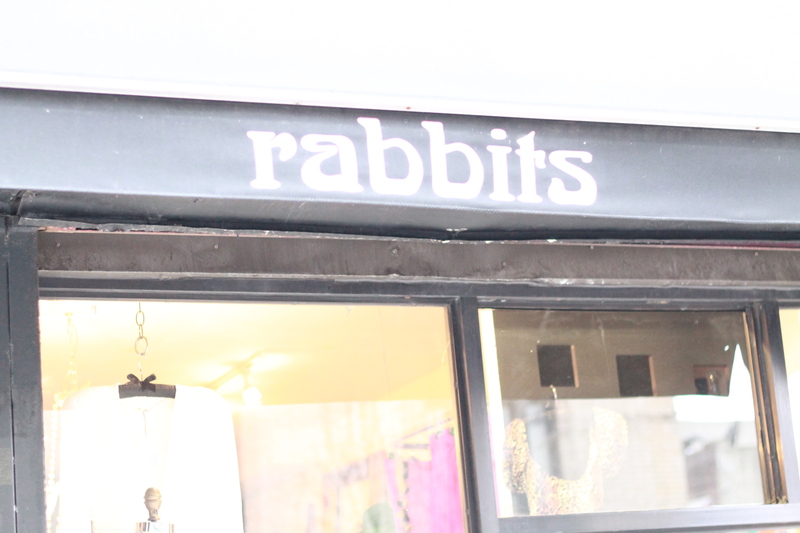 If you’re looking for a well organized shop with beautiful pieces from places near and far, Rabbits is a great option. Saori is friendly and knowledgeable, so you won’t feel as though you’re directionless if you need help. Keep in mind, though, this is not a thrift store, so the effort Saori put into finding these quality pieces is reflected in the prices. This isn’t a free-for-all type of place. 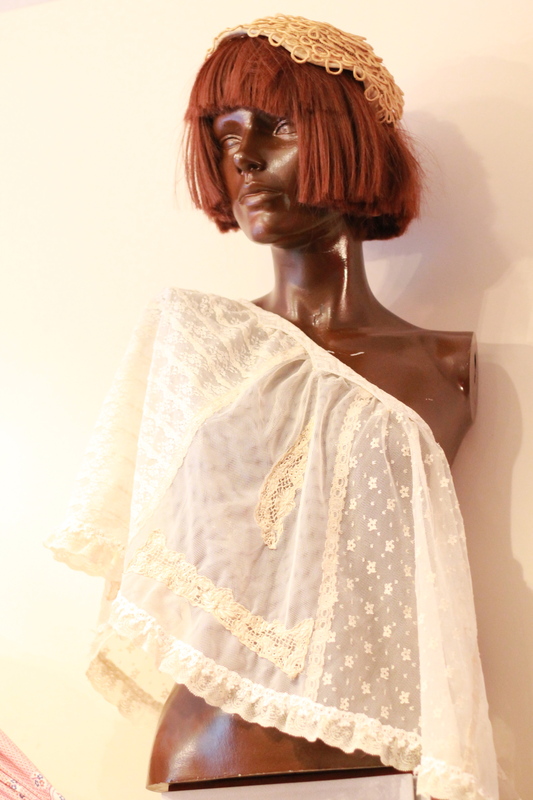 For the vintage lovers out there, this is the type of place you can go to and be confident that you’ll find those vintage wears that you love without having to guess at their authenticity. When we’re in New York again, we will definitely go back to Rabbits to shop and hang out with Saori. Fun, clean space + cool owner= TTC stamp of approval. Categories: adventure, Thrifting, Travel, Uncategorized | Tags: brookyln, NY, thrifting, vintage | Permalink.